To Die-Cut or not to Die-Cut. That is the question. Seriously, I got asked this questions 554,753 times last year. But I think one lady asked me twice...so I didn't count her! The reason this is a serious question is because die-cutting usually means a somewhat serious financial investment. First you have an investment in the machine, then you have an on-going investment in the dies. Fortunately though, the variety of die-cutting machines, and the dies themselves, is vast. Almost every scrapper out there can find a machine and a brand of dies that fits their style, budget and level of use. - can imagine the benefit of being able to cut 144 identical scalloped circles at 2:00 a.m.
...then you're a candidate for a die-cutting system. I own all three of these machines and use all bands of dies. My name is Susan...and I'm a die-addict! So let me tell you what I know! Construction and Durability: All of these machines are made of plastic and metal. The Big Shot has the largest footprint of the bunch, a convenient handle on top and in my opinion operates most smoothly. The Cuttlebug claims to have a "suction base" that engages when you lower the side flats, but I can't ever get it to work. It might be caused by the dry Arizona weather, or our dusty air - but it doesn't suction for me, which doesn't lend to the stability factor. The Revolution is the smallest of the three machines. I've had mine for over 2 years. It came with an adorable carrying/storage case, has been beat up, dropped, used and abused by countless students, on-lookers and airport security screeners and it's still working just like the day I got it. This sucker is solid. My Big Shot and Cuttlebug don't have as many miles on them, but other than the fact that they don't have carrying cases, I can see both of them performing equally as well over the long haul. Three isn't a flimsy machine in the bunch! Ease of Use: All three die-cutting machines operate basically the same way. Die on platform, paper on die, spin handle to crank said platform through the rollers...VIOLA. The only differences come in the layers that make up the platform. The Revolution's platform is magnetic - the dies stick right to it. The Cuttlebug and Big Shot both have a variety of "mats' which are varying thicknesses. Depending on what brand of die you're using or what material you're cutting, you'll change the cutting mats. It's a matter of cutting each item once, so you know the "sandwich" to build, and you'll be set for future use. I'd say the ease of use is the same, among the three. However the Big Shot gets gold star because their mats are bound together in a tab-book. It's tricky to misplace the book, because you'll always have it on your platform. With my Cuttlebug, I'm forever burying one of my "mats" under layers of paper and supplies. Cost Effectiveness: Die-cutting machines are definitely an investment. But between great online stores, big-box-retailer's coupons, local scrapbook store's loyalty programs or scrapbook convention specials - it's rarely necessary to pay MSRP for any of them. Dies range from $5.99 MSRP for a single Cuttlebug shape - up to $119.99 MSRP for a complete QuicKutz alphabet. However, once again, I've never paid MSRP for any of my dies. I use coupons, shop online sales and take advantage of my local conventions. I think the price of a die pays for itself very quickly. I never run out of black upper-case "Es" in the middle of the night. I can cut letters and embellishments from the cardstock that specifically matches the patterned paper I'm using. I can use dies for card making, scrapbooking and home decor projects. I think once the initial purchase of the die-cutting machine is made, dies are a sound investment in your paper crafting supplies. You'll never run out of options when you've got dies at the ready. - I love a machine that allows me to use a variety of dies. The Big Shot and the Cuttlebug allow me to use virtually every brand of die on the market. - I take comfort in knowing that if I have questions about my Revolution, or any QuicKutz dies, I can call their 800 number, speak to a human and have an answer and/or resolution very quickly. - It makes me happy that I can find Cuttlebug and Big Shot dies at several local scrapbook stores and big-box stores. - I like knowing that virtually every die on the market will cut in the Cuttlebug and the Big Shot. But in my Revolution, I do enjoy using the following dies: Go Kreate, Boss Kut, Spellbinders and Cuttlebug Kids. - I'm not lovin' how my Cuttlebug spins. Probably has to do with the suction cups, so that may just be a personal “Arizona issue". I do still use my Cuttlebug, so it hasn’t turned me totally off. - I dream of the Big Shot having some kind of a “top” or “cover” to go over it. To keep it clean and so things could stack on top of it. Wishful thinking – but hey, a girl can dream! - I wish Provo Craft made 12” cutting mats, for the Cuttlebug so that other company’s biggest dies would cut easily. - I don’t like that I now know about the new tool coming from QuicKutz, but am going to have to wait until this summer. I’m not the most patient person! What I Made With These 3 Die-Cutting Systems and Their Dies: Here are a couple of projects I made - hopefully showing some of the versatility of dies! 4" x 9" card - Whatz Up? Goodies: QuicKutz Nesting Stars (frames), QuicKutz Nesting Stars (shapes), ProvoCraft Cuttlebug, Bazzill Cardstock, Scenic Route White Ledge Paper, Tinkering Ink Rub-Ons, Stampin' Up! Hole Punch, bling. 6" x 6" card - Welcome Home! Goodies: QuicKutz Trees (anime), QuicKutz House (anime), QuicKutz Chick-a-Dee font, QuicKutz Revolution, KI Memories patterned paper, Bazzill Cardstock, Copic markers. Goodies: QuicKutz 12" Cloud border, QuicKutz Sugar Sweet font, QuicKutz Revolution, Spellbinders Nestabilities Scalloped Circles, Spellbinders Nestabilities Circles, Sizzix Big Shot, Scenic Route Rub-Ons, Kaiser Pearls, Bazzill Cardstock. 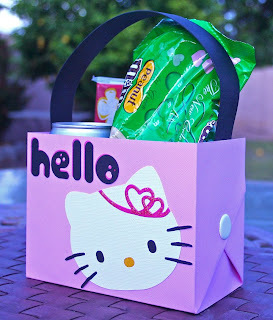 Goodies: Sizzix Hello Kitty Princess, Sizzix Big Shot, QuicKutz Rainbow font, QuicKutz Revolution, Stickles Cotton Candy, Bazzill Brads, Bazzill Cardstock...M&Ms, Diet Pepsi and popcorn! What I Think: I’ve been die-cutting for several years. But when I’m asked questions about die-cutting systems, it’s usually by brand new never-owned-or-used-a-die scrappers. If I was just starting, and was looking for a die-cutting system to purchase today – hands down it would be the Sizzix Big Shot. BUT, if I could stand to wait a couple of months, I’d wait to see the new machine coming from QuicKutz. They know the features of the Big Shot and the Cuttlebug and will likely come up with a new machine at least equal to those! 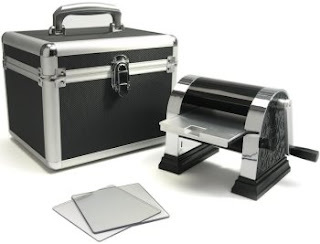 All three of these die-cutting systems include dies of various sizes, embossing folders, and a variety of other accessories. Some needed, some not-so-much. Die-cutting itself is a vast topic - one that could go on for several articles. What specific questions do you have about table-top die-cutting systems? I'd love to help you find the answers you're looking for. Follow-up articles may be needed - but I need to hear from you. There might be prizes. There might be videos. There might be demonstrations. You just say the word! Pssttttt - that word is DIE-CUTTING! Leave a comment on this post by Noon EST tomorrow (Tuesday) to be eligible to win! Three winners will receive one of these folders for the Cuttlebug system. In your comment, please tell us which of these three machines you love or are interested in buying. Yah - first genius again! I have wanted to buy some sort of die-cutting system for about 3 or 4 years now, but just haven't been able to make up my mind - I guess I've been afraid that I will pick the wrong one, so thanks for this review. Now that I've read this, I'm leaning toward waiting on the new system from QuickKutz coming out in May. 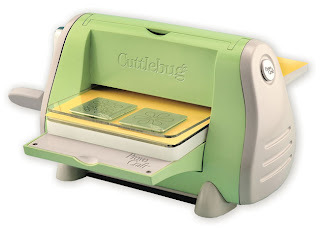 I have actually used the Cuttlebug at a class I took one time, and thought it was really cool. I have the Cuttlebug but don't use it very often anymore. It's just too clumsy for my taste. I never remember which plates make the right "sandwich" and I've also had the plates break on me while I was rolling them through the maachine. I find that I actually use my old Sizzix more than the Cuttlebug. I would love it if someone came out with a product that would emboss as large as 12X12. I have a cuttlebug- my does stick, but I am in the Florida humidity. If it doesn't then I liightlt wioe the bottom with water - to clean it and help it stick (you are supposed to wipe suction cups with water for better sticking anyway). I use it more for embossing than anything else- I have both a cricut expression and a craftrobo pro 2 that I use for cutting whatever i want so my primary focus were the embossing features although I do use some dies. I haven't figure out hot to use other dies with my cuttlebug yet- as far as the right sandwiches and would love more information on that. Well, I have the Big Shot and love it. I had the original Sissix with the handle that went down on it. But, i invested in the Big Shot once I saw all the cool large die cuts they have. I love that I can still use all my old die cuts on that machine. It is also lighter than the other one. I have been interested in the Revolution and would love to see what you have to say when the new one comes out!!! I have a Big Shot (and a sidekick and a squeeze) and sooo many dies, I love quickutz shapes, but the way the sizzix dies cut chipboard, and the xl shapes, and the new karen burniston dies. I love the scalloped card die by quickutz, but I love the way you can almost animate the quickutz shapes because each section comes separately, and I love being able to use dies for things other than they were intended. Oh and my nestabilites, I love embossing with them, and cutting windows in cards. I must have spent a fortune on my dies, but I love each and every one. I have a cuddlebug and don't use it very often. The suction works great for me, and do love that green color too! I also love that any manufactures dies work in it, one of the main reasons I bought it. 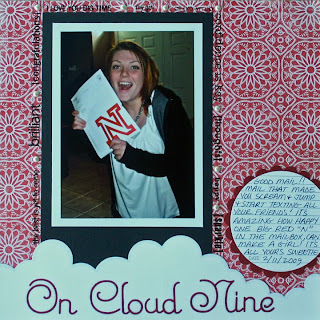 I have Sizzix Big Kick (much like the Big Shot.... just cheaper) and LOVE it. I added to my alphabet collection by buying on Ebay! I have the original Sizzix - it's a dinosaur compared to the new stuff out there, but it still works and cuts chipboard too! I can't take it anywhere - far too heavy. If I had my druthers, I'd have bought the Big Shot a while ago - the hand crank would definitely make a difference when cutting larger dies - I have a couple Cuttlebug and Spellbinders dies - gets tricky on how to make the larger dies cut all around. I'm intrigued by the new Quickutz machine! Are you going to write something on the electric diecut machines - Cricut, Wishblade, etc.? Because I'm having trouble justifying buying a manual machine when the pluggable kind works so well too! Thanks for the article. I have the Revolution die-cutting system and an very curious about the new QK machine. Very happy with it; have small crop group where we share our dies. Another bigger crop owner uses Big Shot & Sizzix dies(she just got the electric--is that what QK is doing???) Only diff. noticed is width of Big Shot and it's not a huge enough diff. to wish I purchased it. Happy to hear it will do chipboard, though. Would like my Rev. to do that. Other friends have Silhouette or Cricut and that's fun too, but not ready to move on it although the Silhouette seems the most practical expense-wise. I have a Cuttlebug, but I find that I use it mostly in card making, not scrapbooking. I did have an older style Sizzix machine, but sold it to get the Cricut (which I use alot for scrapbooking). I think the Cuttlebug is an affordable machine to get started with. I do agree that there are limitations as to the size/length of die that it will take, but it still does work with a lot of other dies! I have a big shot and I love it!!! I think having the multi-purpose platform is the biggest plus for me!!!! Thanks for the great review!!! I just broke down last week and bought a Cuttlebug (armed with 50%off coupon)just so I could emboss. I am still torn on the die cut thing.I am a dinosaur computer geek-so the electronic ones appeal to me-but they are so limited in the thickness of the material they will cut.In the long run they are probably more cost efficient. So I just keep tossing it back and forth trying to decide. Maybe this blog will help me finally decide. I have one die cut machine - the Big Kick (read Big Shot) and it's all I've needed, so far, using a variety of dies in it. But, I've had my eye on the QuicKutz machine for a long time. I just love the large alphas they have for that machine. Since I started doing more digi LO's, the big R will just stay on my list. Thanks for this review. I constantly check out the Revolution and now...I am thinking I will get it! oooooooooooooh! I dont have a die cut machine...I have used them in classes and at conventions. I'd be interested in ANY and ALL of them. Any that I could find for a SMOOOOOOOKIN' deal that is....my budget is WAY light right now. I really wanna get the cuttlebug or the big shot. I would like to try both of them out in person to see which one I like best. I have the cuttlebug and I love it. I find that the suction cup action really depends on the surface of what it's set on. I have a very smooth dining room table that it sticks to so well that sometimes it's hard to get it to un-stick! Great blog post! I've been debating the whole die-cutting thing, both whether I want one and which one I'd get if I do decide to get one. I lean towards the Sizzix or Quickutz Revolution (Just cause I have the squeeze and like it). I have the original QK handle which I still use and love for being light weight and portable. I slo like the big shot for handling all dies, but prefer Cuttlebug for size and portability. Can't wait to see what QK bring out. I have the Big Shot or the Big Kick (whichever is blue and black). I started with the original red Sizzix, but with my wrist problems and the bigger dies that came out I decided to upgrade to the Big Shot/Kick. I do love this machine. I can use it with any brand die from wafer thin to the fat Sizzix ones. I also love using embossing folders with it and recently noticed that Sizzix came out with some that look very similar to the Cuttlebug's folders....more choices, yay! I own a Cuttlebug and use it mostly for embossing. I do most of my cutting with my cricut. I have been kicking aroudn the idea of a Big Shot. I like the idea of cutting 12" boarders adn larger shapes. I have the Cuttlebug, I also love the color :o)!! But, what I love most is that you can use almost any die in it and I LOVE the embossing folders. Mine doesn't stick very well either but I don't find that a big problem. I started out with the Quickutz handle and have 2 binders of QK dies, I'm interested in finding out what their new machine is in May!! I have a cuttlebug and have used the big shot and have to say I liked the cuttlebug more. I struggled with the big shot. Plus I love the fact that you can fold the cuttlebug up into a neat little piece of equipment that stores easy on my shelf. This was terrific information! I love my Big Shot, it's all I could afford. I'm finding that I love projects in 3D, so for me this is a really wonderful tool. I use dies/embossing plates from all systems. I look forward to more options in the future of crafting, as I develop my style. Your give-away is right on! I would love to try the Bigshot. I think I'm the only one who has never used the larger dies! Don't get me wrong I love my sizzlits but I'm dying to try out the larger dies to have more options! In January I purchased the slice, which is the first die cutting machine I have ever had. I completely love it and am so glad I got it. I am considering buying a manual die cutting machine some time in the future because I would like to cut chipboard and felt etc. I have been looking closely at the cuttlebug because I LOVE the embossing folder idea. My biggest question for you is what is the purpose of having all three? Is there one manual die cutting machine I can get that will do everything I will want it to? Hey Susan! Great article! I have all kinds of die-cutters. (My Sizzix is the old red one and I like that I can do thicker material in it.) My fav is the Rev because I use Quickutz dies the most. I do like the versatility of the Cuttlebug and the embossing is the best I have found---great folders & they don't break the bank! For a starter I think the Cuttlebug with a 50% off coupon would be a good choice, but none would be a bad choice! I have a cuttle bug. I just got it for x-mas so I'm happy with it and not looking for another machine right now, that and I just got a cricut, so I'm set on big scrap purchase for a while. I love my Big Shot. I have the Bug too, but I will be selling it as I just don't see the need for two! I think that about covers it! Good job Susan. Susan, you made my day ! I own the bigshot, which I do like, but I've been wondering about buying the revolution, since I have so many QK dies, and I don't like to cut the long and wide QK borders with my bigshot. But now I will wait for summer to see what the NEW QK machine is going to be like and probably buy that one ! I just love my Cuttlebug. I have a small Ellison, so it's the only big one I have. I love that I can fit different companies dies in it. I love the folding up of it, so it doesn't take up much space, plus it has that handy dandy carrying handle. My suction cups seem to work OK here in Pennsylvania LOL! Thanks for the great review. I bought one of the first generation Sizzix die-cutting machines years ago, then added the Sizzix Sidekick, and finally the BigShot. The BigShot is definitely my go-to machine for die cuts. I like its sturdiness,and especially the ability to cut multiple Sizzlets at one time. I've amassed a good collection of original Sizzix and Sizzlets dies-and I've rarely paid full MSRP for any of them. Thanks for the great reviews on the die cutting machines Susan! I own the Revolution and I Love it! Since I'm such I am such a Quickutz fan, I figured this was the only machine for me. I am quite curious about the new "bigger" machine Quickutz is coming out with. I found you!!!!yeah!!!! Good job. Liked the reviews, honest and straightforward. I will say my cuddlebug suction is great on the wood desk top, but not on craft tables. I need folders!!! I like the new Cricut stuff too. What else? Oh yeah, Pick ME!!!! I've debated and debated about buying a die cutting machine. I honestly was always just too overwhelmed with trying to pick one by looking at a box....your review is great. I've wondered too about the Big Shot Express, the electronic one, anybody have that one and care to comment? I'd really be interested. I LOVE my QK Revolution. I got the squeeze many years ago and like you, like the fact that I can make as many or few letters that I need and am not wasting extra sticker letters. I tried a friend's cuttlebug and did not like it, her plates/mats became curved very quickly (and couldn't get them to be flat even when we rotated where we cut dies). I love how sturdy the rev is, and the ability to change my platform from 4 inches to 12 inches. Here's what I want to know ... if the big shot and the Cuttlebug can both cut just about anybody's dies, other than the price, why would I want one over the other? And if QK is eavesdropping ... LOVE that the revolution is magnetized, hate that it ONLY cuts QK's dies ... so I'm excited about this potential new die cut machine!! Oh ... and does the big shot have 12" platforms? Of the 3 I have the cutterbug. I am interested in the Revolution. I would love to see more demos or videos on diecut machines. I also seem to learn something new. I have the original red Sizzix and the BIGkick. I love them both. I got the BIGkick so I could use the bigger dies. I like that I can use anybody's dies in them. I also use them for cards, scrapbooking and home decor. With coupons and sales they are not to expensive and you can use them over and over with just about anything; paper, foam, cloth and more. Great reveiw! I got introduced to the CB by friends. I finally bought it and LOVE the embossing it does. It is a great inexpensive versitile machine. I also was lucky enough to win a Making Memories Slice machine which I can use to CUT out LOTS of different shapes. I love my Cuttlebug. I do have the same suction cup issues spoken of (maybe it is a Las Vegas, hot, dusty issue!). I mainly use it for embossing and it does a great job. I used a Michael's coupon for mine so it was totally affordable. I have the Cuttlebug and absolutely love it!!!! I love it for the versitility and ease of use! I think I use it every day! I love it that much! I can not wait to see what they are debuting in May! I've heard great things about the other 2 machines also, but I was able to use a 50% off coupon at my local M's! So glad I did! I love how fair you are withe reviews. I have always wanted a Cuttle bug, I have seen some projets you have done Susan. I have to say my fave is the Revolution, I use it all the time. I can't wait to see what this new machine is from QK! I just bought the BigKick, and so far I do like it, no complaints here. Thanks for the review Susan! I have a cuttlebug which I never use. I love some of the My Little Kitty dies, but I don't want to deal with the storage issue of the larger dies because I have so many dies. So for me the Revolution is just perfect. And I can get QK, bosskut, spellbinders or cbkids dies. Of course, I like QK the best. Great job on explaining the differences! I have the Quickutz rev and now can't live without it! I think I would have given up on QK if they hadn't come out with that. The blue tool was the pits and then came the Squeeze tool - nice but after a cutting a few shapes, my hands were hurting. I couldn't believe I had waited so long to purchase the revolution tool which could be a good thing as I've now got a ton more invested in dies! Mum just got the big shot and it is nice to use. I still prefer my revolution! I love die cut machines! i too have all 3 and don't know if I can pick a favorite! Do you think we can really make it till the new quickutz machine comes out?? I hate waiting! Thank you for this review.Perfect timing since I have been thinking on getting the Cuttle Bug. Love their embossing folders. But maybe I should wait for the new QK. Also are you going to be doing a comparison for the electric die cut machines? I'm not sure if it is better and/or cheaper in the long run to go with the electric ones. I have the Revolution.. don't use it much anymore because I have the Cricut.. too many toys.. still love it though.. very sturdy and easy to use. It was nice to go from the hand held quickutz to the revolution.. now i'm curious about the new machine..
Great article Susan. I think you provided so much information on each one that it would be easy for someone new to die cutting machines to pick which one would be best for them. QK is my favorite hands down. Not only great products but their customer service is the best. That means alot to me. I love the variety of the dies they offer and each months revealing exciting. Your work is fabulous as always. You are the great enabler, lol. Thanks Susan. I love my Quickutz Revolution and Squeeze!! I personally like the thinner metal dies like Quickutz, Go Kreate, and Nestabillities because they are much easier to store and take to crops. I also like that I can use the neat-o Cuttlebug embossing folders with the Revolution 12" platform. Susan's right...with store coupons and online sales I've never paid full retail for any of my die cutting machines or dies. Great Review, Suz!! I would like to know about the versality of each machine and if you can use more than just their brand of dies in them. Great blog. Very nice to have products compared and dished about to save our hard earned green backs. Thank you for having such a place to come and here opinions about products!!! I have the cuttlebug and the cricut-love them both! BTW. I got the longer 12" platform for the other companies 12" dies and they fit just fine through the cuttlebug. I love reading various info about die cutting machines. My new love is the BigShot (after owning QK Squeeze and Revolution). I love that I can use several different dies, especially the Cuttlebug ones! I have the Quickutz Squeeze and Revolution - I love both, but I use the Revolution a lot more often. I also have the Big Shot (the older version) - I love the fact that I can use my Nestabilities on it. I'm not always happy with the dies for the Sizzix because I don't like the bulky dies. The handle on my cuttlebug has broken twice while cutting chipboard. I love the shapes ad that it does cut chipboard. I own the Cuttlebug and like it. I'm not sure about the others. Lisa L.
I love my CB, but would love a bigger platform. Can you do a review or tutorial on different dies in different machines? For example...can u use the fiskar embossing plates in your CB? I love using my Revolution, but was disappointed to learn about the new (use all kind of dies)Revolution being available so close to the time of my actual purchase. I have the revolution and LOVE it-I love the thought that they might come out with something that I can use ALL the different dies out there-I will prob be just as unpatient as you!! I'm not good at the waiting thing either-but I've heard rumors for over a year so I guess I can wait a little longer-when it comes to acctual dies though-I am an equal oppurtunity die-cutter!! Love them all!! Die-cutting! die-cutting! L O V E it! I have the original squeeze and the bigshot. I wanted the revolution but it wasnt available to me but the sizzix was and could do all the dies at the time that I owned (all types), so that was the natural choice. I do however want the new QK machine and hope it excels where the bigshot left off and expect all NEW sizes and shapes in dies too! I love my Cuttlebug because it was perfect for my budget before. 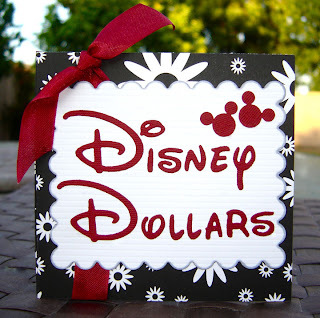 But now I would love to have a Cricut cause those fonts really look amazing and seems easy to make too. I do not have a tabletop die-cutting system but I am leaning towards the cuttlebug. Love that I can make embossed images from the designs from my Cricut! I've only ever used the big die-cutting machine at a couple of the stores that host crops. I tend to try and stock up on some of the basics while I'm at the store. I really love the idea of having one but at the moment space is an issue. I have a Cuttlebug and I really like it. I love that it can use all of the other companies dies. The suction cup is not an Arizona thing, but I have found that if I wet the feet, they stick a lot better. I usually only make a couple of cuts at a time so it's not a bother if it wiggles. I love your site and enjoy all the reviews!!! I have a Cuttlebug and love it. I've never tried the other two (sometimes I wish craft stores were more like auto dealerships & let us "test drive"). The only one I don't have is the Revolution. As far as the cuttlebug and the big shot I love them both. I think they each have their purpose int he scrap room. The cuttlebug can handle most of the competitors dies so it makes it really easy when going out to crop. The big shot does the XL bigz dies which I absolutely love. Specially the cute boxes that you can get. I have a SIZZIX BIGSHOT and i LOVE it! I can use every brand die i want, its stable, i love the pink! I started with the original Sizzix and upgraded to the Big Shot a couple years ago...Love the Big Shot!! I just bought a new crop bag so it will easily fit into it (for easier carrying)along with more of my supplies. Great review on the differences. Only problem now is do I buy all of them? Thinking I may wait to see about this new QK machine. I already have the REV & SIL. So may stick with what I know best. Besides the dies I buy are 99% QK. Great job Susan! I started with a squeeze tool years ago and now have a Big Shot, that I love, for all the reasons Susan mentioned. I still wish I had a Revolution though, since I mostly have Quickutz dies and I really would like to have the magnetic platform feature and be able to use the sticky mats. I will probably buy one if I can find one for (and on) sale! I have very few Cuttlebug dies, only for embossing, they are fun. I love my cuttlebug and embossing folders. I think I would really like the revolution just for traveling though. I wish that cuttlebug would come out with a nice case for their machine! I own and LOVE my revolution! I started about 7-8 years ago with the hand tool and one set of letters, Marissa. To this day Marissa is one of my go to alphas even though my scraproom now boats 12-14 sets of letters. I love that I can have the letters I want in the colors/patterns I want! I have since gotten a cricuit - but I always go to my Quickutz first! All hail the new 4X8 dies!!! I don't have any die cut systems right now, but I have had my eye on the big shot for a while now! Just not sure if I want to make the investment! I own both the Revolution and the Cuttlebug, but tend to use my Cuttlebug far more often than my Revolution. I find it much lighter and easier to move around, which for me is a very important feature (I'm disabled and have very weak arms and hands). I also find the Cuttlebug more compact, and find the 'suction' feature works fairly well for me (I generally use it on my ceramic table-top - maybe that's why?). Either way - I'm a die junkie too. Thanks for the chance to win some goodies! I have an Accu-Cut Zip-e-Mate, which is no longer on the market. I generally love it because it takes every die ever made. I have Sizzix, Sizzlits, and Quickutz dies that I use in it. If I were to look at a new one, I'd probably go for the Revolution or the Big Shot. I think my next cutting machine will probably by electronic, though. I have a Sizzix and a Cricut. I love them both. I have never seen a Cuddlebug demonstration until this past weekend. I found that I love the embossing folders. I tried a couple folders in my Sizzix and they worked perfectly. So I went out and purchased a couple to use in my Sizzix. So I'd love to win one. Thanks for asking for our opinion. I have a Revolution and the Cuttlebug and I love them both (though they make my bags extreemly heavy when going to a crop) but I could not live without them. I have a big kick (basically the big shot just not in the cool colors of black and pink. It's a boring red and white. But I too love that it cuts all the dies. I also like that I can cut several QK dies at one time if I so choose. I also have a sizzix sidekick and the original sizzix machine (that weights like 10 lbs) and the old old blue QK handle (hate that one - it kills my hand.) My only complaint about the sizzix dies is the amount of space you need to store them and that they are not very portable. Those steel rule dies are heavy. But they are so worth it as they cut everything! chipboard, felt, fabric, plastic you name it. Thanks for the great review and I can't wait to see what QK comes out with in May! I have the Cuttlebug. Mine does suction to my desk so I don't have that problem. I have tried different types of dies and all have cut just fine with it. You have me very interested in the QK new machine!! I would love to know how everyone stores their dies - that is a problem for me. I bought the Cuttlebug for the embossing option and love to use the embossing folders but now want to get more alpha dies. I love my Revolution; wouldn't part with it for anything! And I love your card with the new trees from the March QK release. I have those and plan to use them a lot. Thanks for the article, as it answered a lot of pro/con questions for me! I love my Big Shot! There are so many dies!! 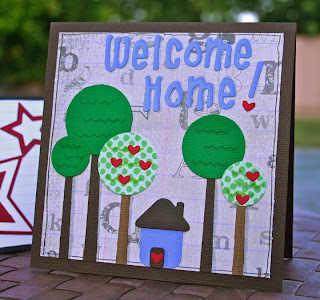 Stampin' Up also has some fabulous exclusive dies for it! I have a Big SHot and love it to death. I think that it's the best way to go as it can cut through more than 50 different materials. The system is seriously durable and you don't have to worry about suction like you do with the CB. Well, I do not own a die cutting machine but the Cuttlebug is running FIRST with me right now! It's size isn't a problem for me because I don't have a "dedicated" scrap room, so I'm liking how small it is!! awesome! i have the old school sizzix... I've had it for years and always wondered if the embossing folders would work with it. I'm really excited to start buying some templates and embossing folders. This was a wonderful review and I can't wait to start creating! Thanks for the article though, I will keep an eye out for the new machine! I love my cuttlebug but I'll soon be getting a wizard and I really appreciate the heavy duty quality of that die cut machine. LOVE the nestiblilites too!! I don't have but one or two folder for my cuttlebug at this point. I have the cuttlebug and love it's versatility however there are several new dies from sizzix that look very appealing so perhaps the BS will be one of my next purchases! Thanks for the review. The Cuttlebug is the only machine I have (well, and the Cricut) but I LOVE it! I love the embossing feature! It adds so much to handmade cards! Great review. I have the Cuttlebug and love it. I have to make sure the surface I am using it on is perfectly smooth - like a kitchen countertop - or it does not stick. So, my dining room table with the wood grain is out, textured surfaces do not work. Now that I know that - I never have problems. It stays stuck even when I leave it for hours and come back to it. I have been eyeing the Big Shot and its longer dies but haven't taken the plunge yet. I think I'll wait to see what QuicKuts comes up with in May! I would love to get a BigShot. I haven't got one yet but I am hoping that we will get the Stampin' Up! version in Australia very soon. I have been looking at all the great stuff in the US catalogue for the BigShot and am getting very impatient. I own all three. Each one works great in it own way. I am looking forward to see what quickutz will come out with. I have the original Sizzix but it's at a friends house now that I have my cricut....I have been looking at the larger machines mainly for their embossing???? I've debated on the Cricut Expression..I might put it on my xmas wish list! I don't currently own a die -cutting machine but I saw a demo of the Spellbinders the other day and was smitten, methinks I need to save! hI - i Have the Big SHot, and the Wizard. I believe you can buy a custom cart for storage for the Big Shot if you look at Sizzix site - and they have the Doctor's Bag (approx $100) - which looks nice. I have great time with Quickutz - they were my first with my ol Squeeze - and one I still use as its sometimes just faster. My Big Shot does everything reliably and I like turning a handle as opposed to the crank back'n'forth of the Wizard - but the Wizard is another seriously sturdy machine. I love Big Shot esp. with Stampin' Up! catalogue & products. 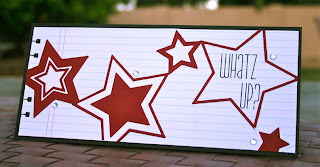 Esp because there are always new ideas from other people who do Stampin' Up! and its reliable source to purchase the dies for the year from a catalogue - as opposed to running out of stock like some retail outlets do. My name is Megan and I was wondering if the quickutz would work in my sizzix big shot and if it would cut felt? Thank you so much. My email is handcraftingharmony@gmail.com.